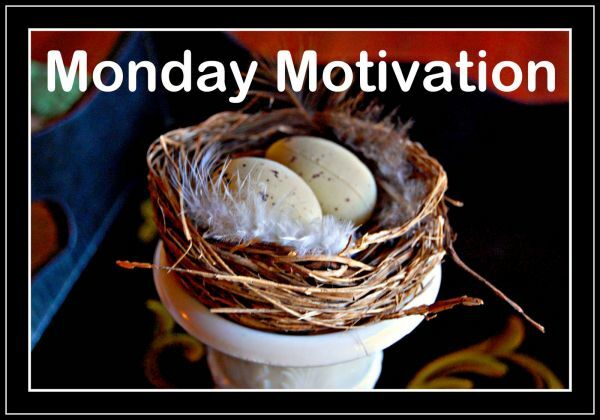 If you've been following the Monday Motivation series this year, you should be halfway through your home now. For the month of July we'll look at how to organize the family room / living room. Next to the kitchen, this room is where a lot of families spend most of their time. A busy room, used by several people needs to be set up with plenty of storage, a good flow (being able to move around the room easily), and be comfortable. First things first - evaluate your family room before you do anything else. You'll save yourself time and money by thinking through your room before starting any work. Step 1: Look around your Family room/Living room and choose what activities you want to place in the room. Gaming? Reading? Eating? Playing? TV watching? Homework? Step 2: Decide what furniture you need in the room to help your family with the activities you listed in step one. Do you have enough seats for everyone? Tables for activities? Shelves for books? Desk for homework? All other furniture should be removed. Step 3: Check for proper lighting. Do you have enough light for reading and homework? Step 4: Do you have enough storage in the room? Only store supplies that will be used in that particular room. Any other supplies should be stored in the room where they're used. Step 5: Remove all extra items from the room and either place them in the appropriate room or donate them. When looking for storage options - because we all need extra storage - think outside the typical solutions that you see in the stores. You might already have a piece of furniture in your home that you can repurpose to suit your needs. A plain bookcase can work as storage for toys, school supplies, or shoes. Baskets and bins help to give a cleaner look than just storing items by themselves on the shelves. I love tall cabinets and armoires because vertical storage makes a lot of sense. I'm always encouraging my clients to think of vertical storage whenever possible. The closed doors are great to hide not-so-neat stuff. This great little desk/storage area could be put together with 2 book shelves, a bench, and a large shelf. When the desk is not being used, the bench can tuck underneath the desk area to maximize floor space. Two wall hung shelves and a console table work as storage, display, and end table without taking up much floor space. This is a great idea for renters because the pieces can be used in other ways whenever you have to move. But, just adding things to a room can turn into clutter pretty quickly and we're trying to avoid that. So, what to do? Everything can't be displayed at one time, so choose which items mean the most to you. By framing photos in coordinating frames, you'll unite the look and keep the overall design organized. 2. Showcase family heirlooms so you can enjoy them. 3. Add interest to bookshelves by incorporating family memories. 1. Start at your front door. 2. Pick up anything that doesn't belong in that area. It helps if you use a small laundry basket to keep the items in. 3. Go to the next room (let's say the living room). Pick up anything that doesn't belong in that room. Put anything from the laundry basket away that belongs in the living room. 4. Continue through each main room of the house until everything is put away. Remember, you're not CLEANING the house, only picking up clutter. If you have little ones at home you might have to do this several times a day. I personally do this 10 minute pick-up every morning before I leave for work and every evening before I go to bed.